We want shoes. All the shoes. Wedges, pumps, flats, sandals, boots—we’re not picky. 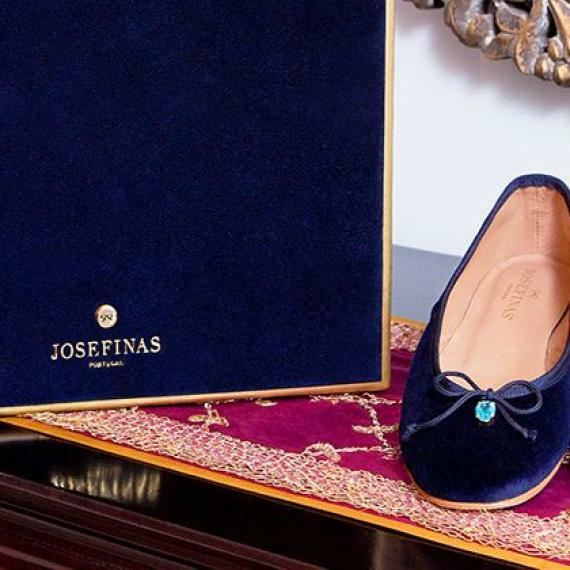 The latest brand we’re adding to our closets is Josefinas—most notably the pieces from their 1,001 Nights collection. Inspired by the mysticism and beauty of the Middle East, the line features four slippers—Babylon, Persia, Jordan and Blue Persian Salt. The latter of which, has captured our attention. These royal blue flats draw from the beauty of the rare, cobalt-hued mineral that is only found in northern Iran, in an area once belonging to the Persian Empire. Made by Portuguese master craftsmen, these flats are “walking art,” seamlessly blending beauty and beliefs from both the physical and spiritual worlds. Hand-embellished with blue topazes, the stones are believed to have “mystical properties of protection and luck” and hopefully, offer their wearer the same.